Has anyone ever said to you “You be the judge?” Well, Robinson Noble’s Burt Clothier once again took up that challenge. 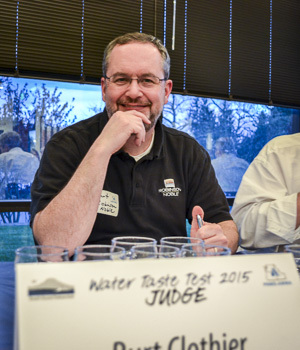 For the second year in a row, Burt was a judge for the AWWA South Sound Subsections annual water taste contest. This is the 7th year the South Sound Subsection has hosted the competition. The competition, held last month, was open to all South Sound water utilities with no state or federal regulatory violations within the past year. This year, 13 utilities took up the challenge. 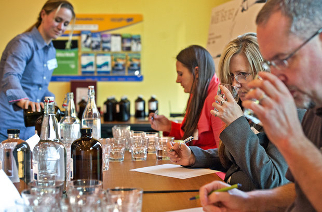 Judging was based on three categories: scent, flavor, and aftertaste. After Burt’s sensitive palate was treated to more water than anyone should drink in one sitting, he and the other two judges picked the top three winners: 3rd place – City of Tumwater; 2nd place – Mason PUD; and with the best tasting (and smelling) water, in 1st place – Valley Water District. With its win in the Sound Sound, Valley Water will be taking their good tasting elixir to the AWWA “Best of the Northwest” competition to be held next week at the 2015 AWWA PNWS conference in Bellevue. Robinson Noble wishes Valley Water the best of luck in the upcoming contest. Photo kindly provided by the South Sound Subsection of AWWA. Recently, Tacoma has been receiving national and international attention for its approach to storm water pollution. 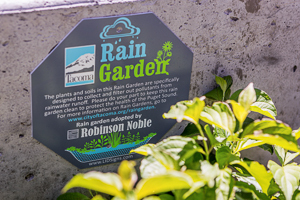 One of the many ways the City has been tackling this issue is through the use of rain gardens, landscaped catchment basins designed to intercept and filter storm water prior to discharging to Puget Sound. 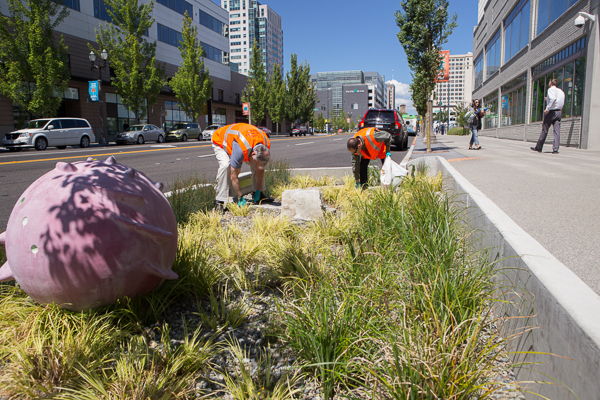 There are 14 rain gardens incorporated in the recently completed Pacific Avenue Streetscape Project, located along Pacific Avenue between South 7th and 15th Streets. The plantings are a welcome addition to this downtown corridor, and a local artist’s sculpture pieces add a splash of color and whimsy. 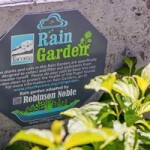 In May, Robinson Noble officially adopted two of the City’s rain gardens, located at 15th Street and Pacific Avenue in front of the DaVita Building and the Aviateur French Restaurant. We maintain the gardens to keep them clean and monitor them to verify that they function as intended. Robinson Noble is also sponsoring Wellspring 2014, a two-day conference focused on clean water issues and technologies held at the Greater Tacoma Convention and Trade Center on October 14th and 15th. Come join us! Congratulations to Fruitland Mutual Water Company! On Friday night, they won the sixth annual Water Taste Test, narrowly edging out the City of Puyallup. Head on over to The News Tribune’s website to read more. Good luck at the PNW Section Conference in Eugene, Oregon this May! This past October, Mike Krautkramer posted about a State Supreme Court ruling impacting water rights in Washington State (State Supreme Court Rules on Skagit River Case). 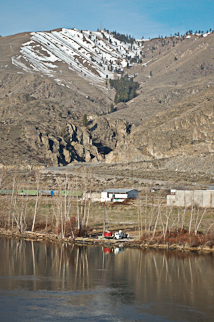 The case, Swinomish Indian Tribal Community v. Department of Ecology, challenged Ecology’s authority to use the “Overriding Consideration of the Public Interest” (OCPI) clause to set aside water for future allocation after an instream flow has been established, in this case for the Skagit River. Mike noted at the time that this decision would likely further complicate surface-water/groundwater management and the water rights process. If you’ve been following this decision, you may be interested in a new article posted by noted Washington water rights attorney Tom Pors, entitled: How Messed Up is Washington’s Water Allocation System After Swinomish Indian Tribal Community v. Ecology? How False Assumptions and Failure to Balance Water Priorities Led to a Surprise Closure of the State’s Groundwater, Over-reliance on OCPI and the Need for Legislative Reform. People often ask us what is involved in the proper planning and execution of a water well drilling project. The correct answer, of course, is that it depends mightily upon a number of factors, including the drilling location, the drilling method, the desired production volume, and the purpose of the well. But while the specifics may differ, in most cases there is a common set of critical path decisions to be made to keep such a project on track. On October 24 and 25, 2013, the University of Washington, Tacoma (UWT) held the 2013 Wellspring Conference, their second annual event highlighting stormwater management and clean water technologies. The conference covered such topics as remediation and filtration systems, the effects of pollutants on biological systems, and regulatory trends. 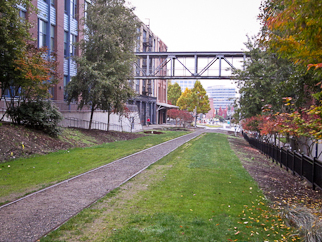 The conference also included a guided tour of three Tacoma locations using current stormwater management techniques: the Prairie Line Trail (UWT), the Pacific Avenue Streetscape Project stormwater filtration improvements, and the Point Ruston Development, where the ASARCO Smelter once stood. Chuck Couvrette and Dave Laush of Robinson Noble attended the conference and found it very informative, illustrating the many engineering and consulting opportunities to keep our local waters clean. A number of new stormwater cleanup standards are proposed for 2015, and while it is not clear how much retrofitting of older systems will be needed, it does appear that existing systems will be included in the standards. Come by and see us this week at the Washington Association of Sewer & Water Districts (WASWD) Fall Conference this week (September 25 through 27) in Pasco, Washington. On Thursday afternoon, Burt Clothier will be co-presenting a talk with DOE about water right processing, including the new Certified Water Rights Examiner (CWRE) program. The WA ST DOE has established several programs to enhance the processing of water rights requests. The cost-reimbursement program has been in place for many years and gives water rights applicants the opportunity to hire private consultants from an Ecology-approved list to perform the majority of the processing before Ecology renders a decision. This can greatly shorten the time necessary to complete an application or change request. At the other end of the process, Ecology has just established a certified water rights examiner (CWRE) program. Here, Ecology registers private groundwater professionals to perform the proof-of-appropriation examination needed by a water rights permit holder wishing to finalize their water right into a full certificate. Both programs will be discussed in a joint presentation by water rights professionals. Back in February, we posted about the Washington State Department of Ecology’s upcoming Certified Water Rights Examiner (CWRE) program. Designed to help water rights holders streamline the process of moving a water right permit to certificate status, the program is now active. Following the initial round of examinations in late May and early June, Ecology has published a list of certified examiners here. Robinson Noble has two CWREs on staff: Burt Clothier, LHG, in our Tacoma office and Max Wills, LHG, in our Woodinville office. Our services now support water users through all phases of the water rights process from application, source development, and mitigation analysis through permit approval and proof of appropriation certification by a CWRE. 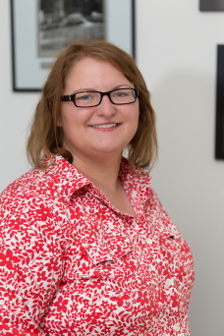 Kari Thomas has joined Robinson Noble as a Project Geologist in our Tacoma office. She has over six years of experience in geotechnical engineering, industrial hygiene, materials, and environmental consulting fields. She is an experienced field team leader and field health and safety coordinator. Her work experience and formal education include groundwater and soil sampling, Phase I and Phase II environmental site investigations, geotechnical and environmental drilling, asbestos and hazardous material building surveys, hazardous materials abatement oversight, indoor air quality and mold assessments, well installation, and construction monitoring. Kari also has experience working with wetlands management, stream gaging, and sediment-loading studies.